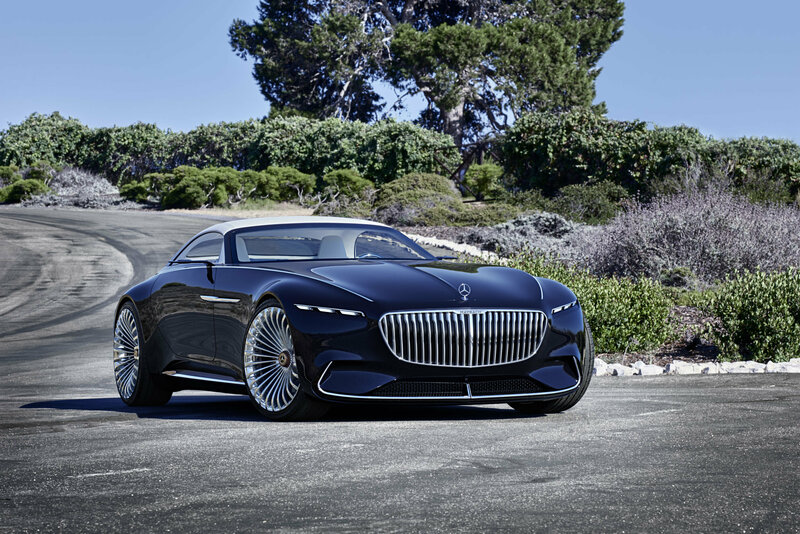 MAYBACH Eyewear unveils its latest masterpiece in an exclusive sneak preview at Pebble Beach Concours d’Elegance. 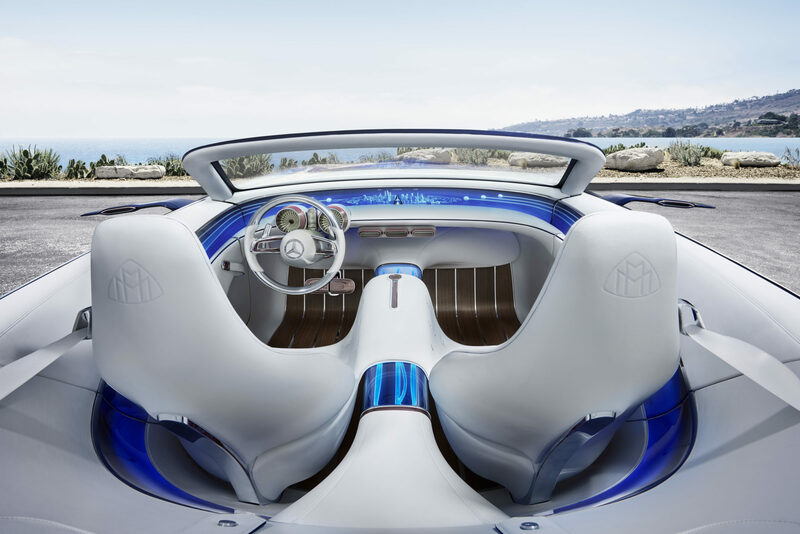 “THE VISION” is a glamorous sunglass which, both with its name and unique look, represents the design accents of the Mercedes-Maybach Vision concept car. 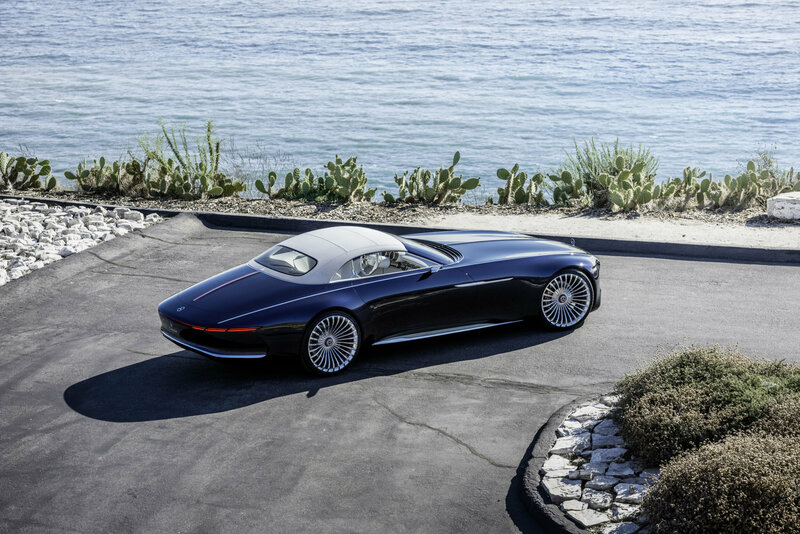 Its provocative, retro-modern appeal pays homage to the ultimate in contemporary luxury and performance. Lightweight, strong titanium is covered with precious platinum, enhanced by exclusive elements in luxury woods and genuine buffalo horn. 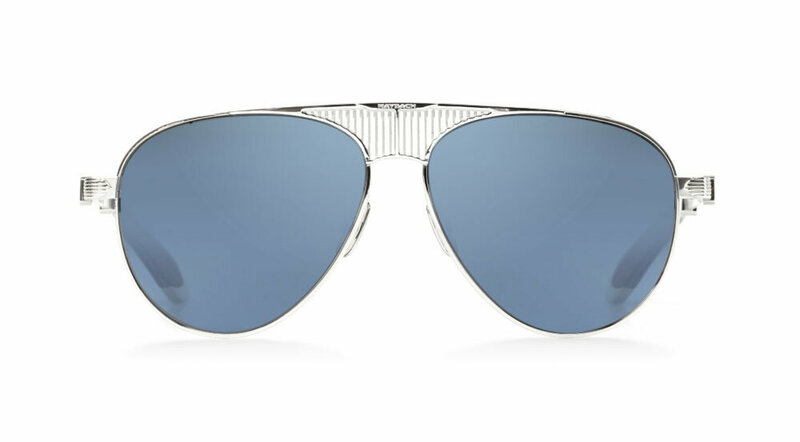 Polarized Zeiss lenses allow the highest performance and perfect vision. The charisma of unique materials, the multitude of handcrafting skills and a passion for perfection create an irresistible work of art in every single frame. Strictly limited to 300 pieces worldwide! 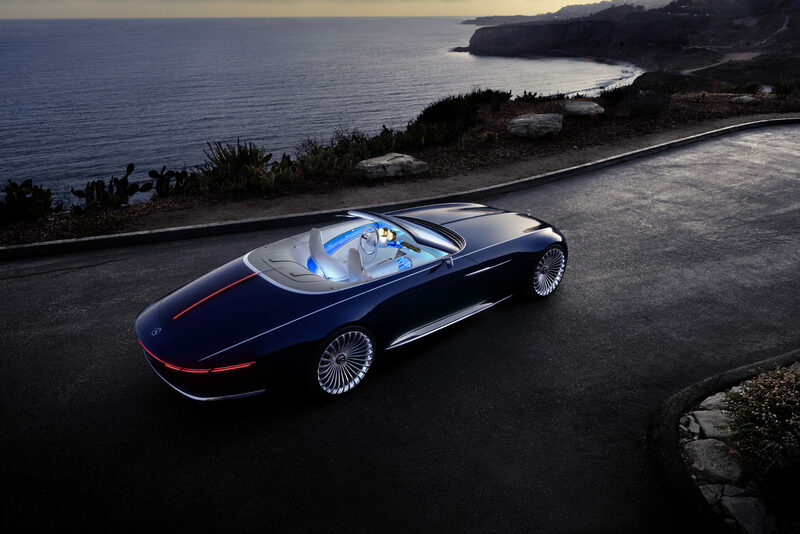 The Vision Mercedes-Maybach 6 Cabriolet is a car which, with its sensual, emotionally appealing design and innovative technical concept solutions, defines the ultimate in luxury of the future. At the same time the two-seater model pays homage to the glorious automotive haute couture of hand-finished, exclusive cabriolets. The glamorous cabriolet reinterprets classic, emotional design principles in an extravagant way and combines intelligent beauty with classic, aesthetic proportions and a reduced, technoid appearance – a perfect embodiment of the design philosophy of Sensual Purity. The strong contrast between the dark blue paintwork in “nautical blue metallic” and the chrome highlights increases the fascinating relationship between the clearly defined areas with organically shaped wings and the chrome trim elements. This benefits the interpretation of the Mercedes-Maybach radiator grille, which with its fine, vertical struts accentuates the front end. The grille was inspired by a pinstriped suit. 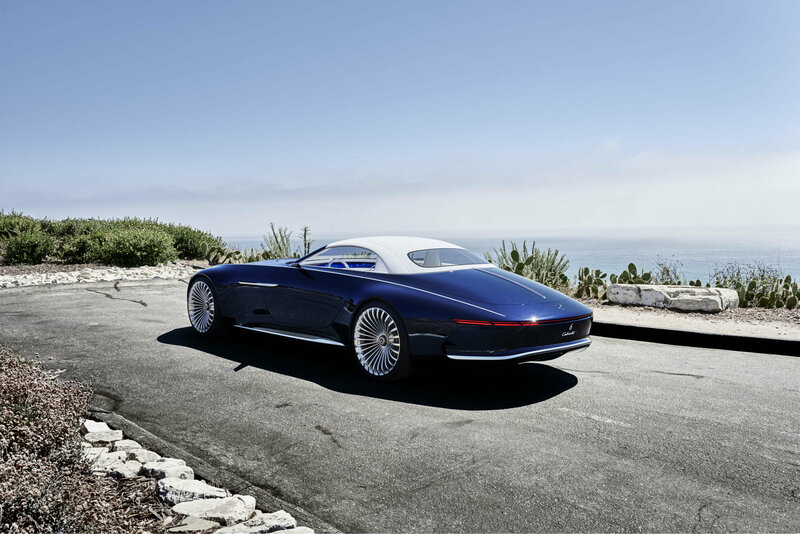 MAYBACH – ICONS OF LUXURY GmbH presented a collection of high-quality accessories inspired by the Vision Mercedes-Maybach 6 Cabriolet. The series includes a refined leather belt with handcrafted real wood buckle, an elegant business bag and design-striking sunglasses. 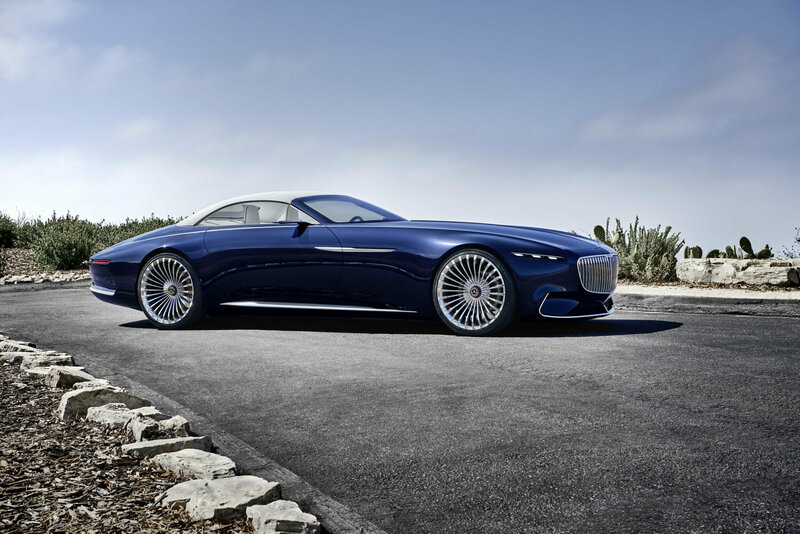 The design and colour of the high-quality accessories are based on the Vision Mercedes-Maybach 6 Cabriolet. 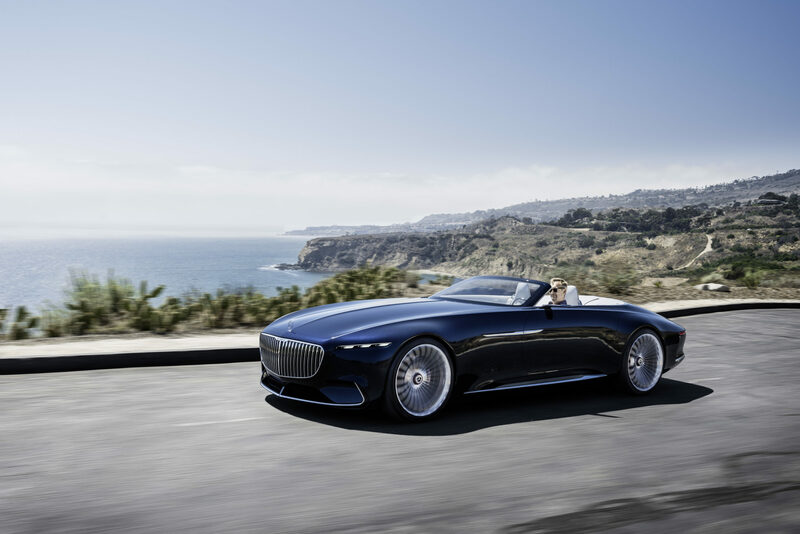 The elegant cabriolet made its debut at Monterey Car Week at Pebble Beach California in August 2017. 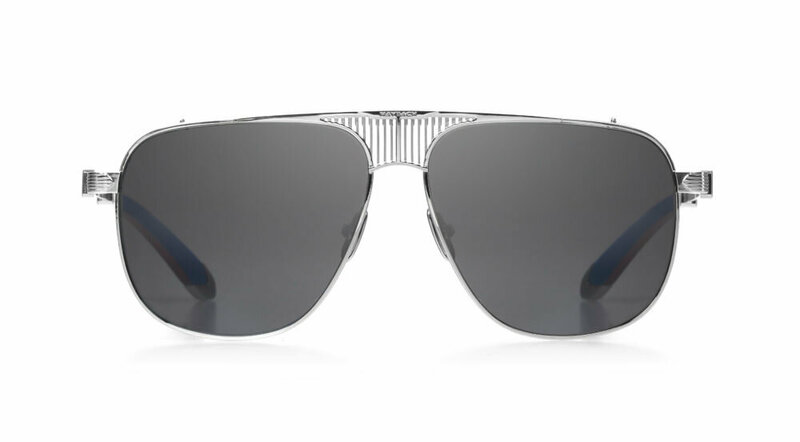 Details of the luxurious products that make up the collection reflect some of the vehicle’s unique design features: the distinctive vertical struts of the radiator grille are referenced, both on the bridge and side shields of the striking THE VISION I sunglasses, for example. The triangular shape of the Maybach brand logo is incorporated in various forms, for example in the basic outlines of The Adviser I business bag. This exclusive collection has been available in the MAYBACH – ICONS OF LUXURY boutiques in Berlin, Munich and Abu Dhabi, as well as online at www.maybach-luxury.com. 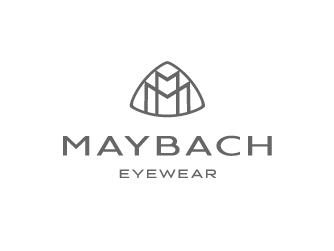 WOULD YOU LIKE TO LEARN MORE ABOUT MAYBACH EYEWEAR?